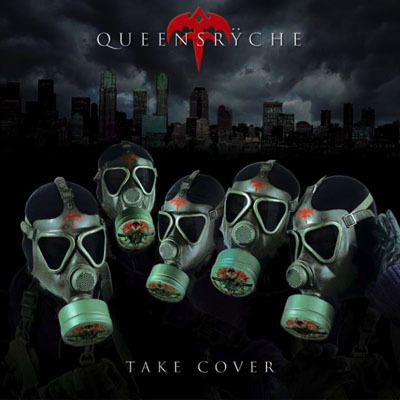 Queensryche have returned, after closing the Operation: Mindcrime storyline, with a covers album. Recently, there has been a trend of 80's recording artists releasing albums of their favorite songs that they've re-recorded. According to vocalist Geoff Tate, many of these were songs that they had played around with during soundcheck during their tour. We don't often review cover albums. But, we have a few reasons to break with tradition here. Queensryche have given some of these songs an 'extreme makeover.' Pink Floyd's "Welcome To The Machine" is the first single and opens the disc reaping the rewards from a change in arrangement. Likewise, "Heaven On Their Minds," from Jesus Christ Superstar (written by Andrew Lloyd Webber and Tim Rice) gets a new intensity and may be one of the more drastic and pleasing updates. I found myself taken aback, on "For The Love Of Money" by the O'Jays, as it comes across darker and even funkier yet fresher. I also found myself pleased by versions of The Police's "Synchronicity II" (I think I paid attention to the lyrics more) and Peter Gabriel's "Red Rain" (sound-a-like vocals early on had me doing a double-take but they slowly evolve amidst a very clean soundscape.) Their version of Queen's "Innuendo" adds depth, texture and atmosphere while paying tribute and not offending the original. The group's live recording of U2's "Bullet The Blue Sky" sounds terrific but goes nearly 11 minutes due to a spoken-word rant that starts about 3 minutes in and appears again after an instrumental segment. A few of the other tracks weren't as memorable but didn't have me going for the skip button. The addition of "Odissea" (from the Italian opera) could possibly give them a hit in Italy but had me scratching my head slightly. I do believe that cover albums are a great way to pay your respects to the music that got you where you are. Most bands have to start out playing other people's music in clubs before they are allowed to perform originals. On Take Cover, the band tackle some favorite songs by bringing their performance style and fresh arrangements to them. Overall, the band are successful here and get to show off skills outside their own compositions and fan expectations. Well worth picking up for fans.